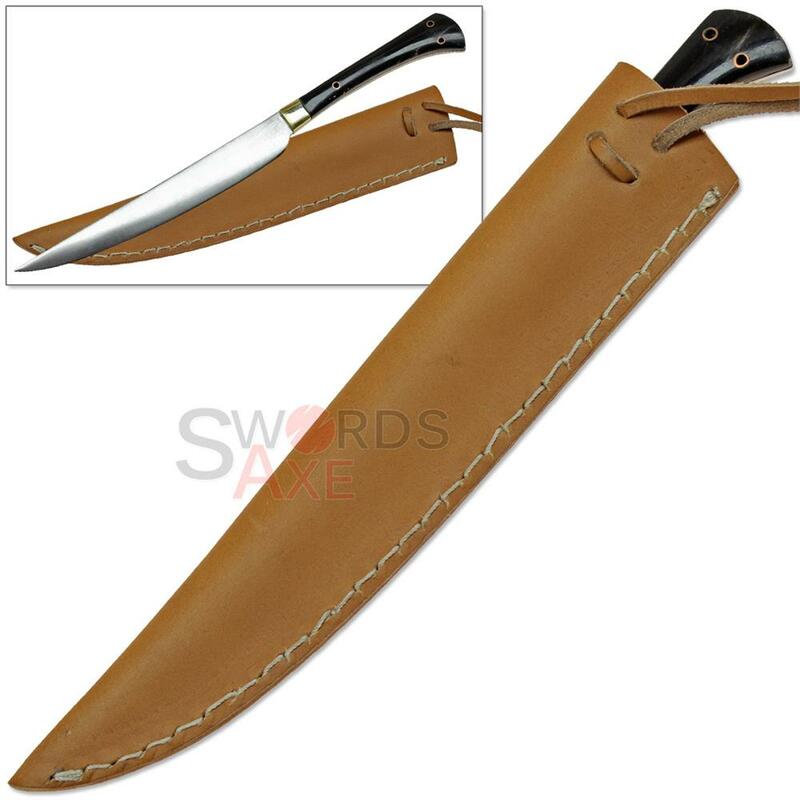 Handmade medieval cutlery is often toted around in a leather carrier such as this to large feasts. 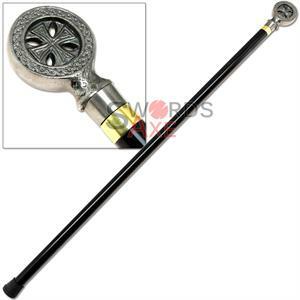 It is made of stainless steel and makes for a great renaissance fair reenactment conversation piece. This handmade table knife has handle grips made of buffalo horn bolstered with shiny brass. 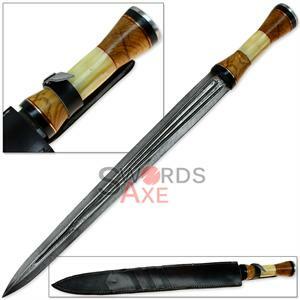 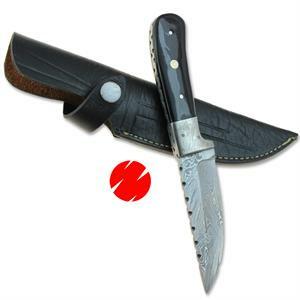 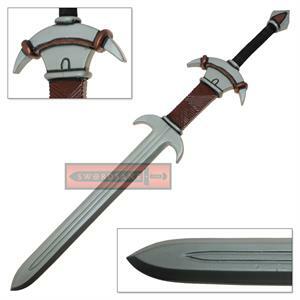 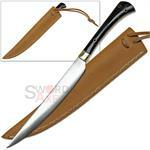 Comes complete with a genuine leather sheath and leather strap.